Do you want your entryway to pop with style and color? Are you unsure of how to choose the right stair runner for your home? Stair runners are an ideal way to add a beautiful focal point, seamless style and a special personal touch to your home. Choosing the right stair runner should be more than just an afterthought. You have spent countless hours on making the rest of your home look great. A quality stair runner is the icing on the cake! Stairs are one of the most trafficked areas of your home and selecting the perfect stair runner is important. If you have hardwood or tiled stairs, stair runners provide a soft and comfortable carpet underfoot. The ideal stair runner will not only protect your stairs, but will also provide an added layer of safety to them. Another benefit is that stair runners do an excellent job of absorbing the noise that comes along with stair traffic. 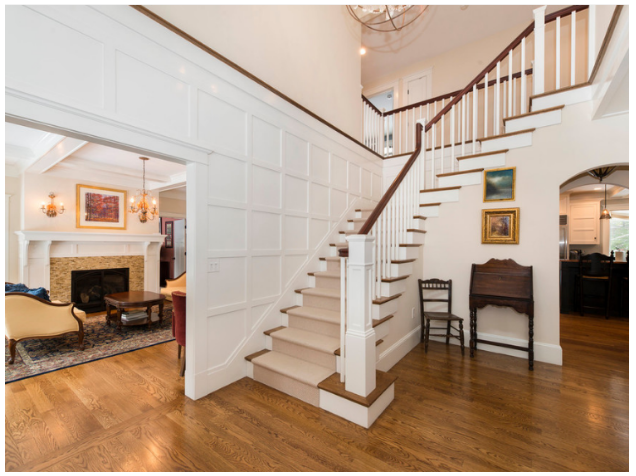 Selecting the right stair runner can be an overwhelming process. Most people get hung up on the idea of settling on the perfect material and pattern for their runners. But, things like shape, size and color should also be considered when making your final decision. 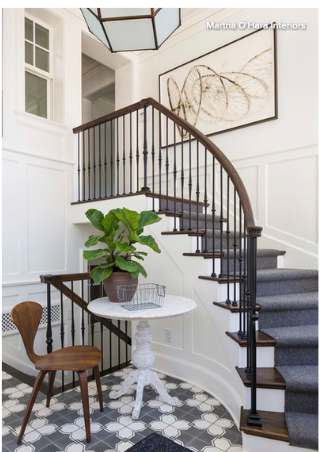 When it comes to carpeting your stairs, choosing a synthetic material that can stand up against wear and tear is the most economical option. If you are looking for durability, nylon is a versatile material that can stand up against stains and high foot traffic. >Wool carpets offer a high-end appeal. They come in natural looking colors and beautiful textures. A key benefit of wool stair runners is their durability. This feature makes them one of the most popular choices among buyers. 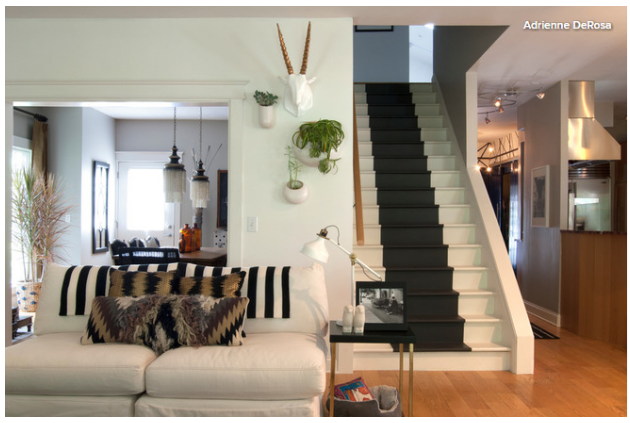 Stair runners with patterns can add a unique and beautiful element to any home. Patterned stair runners come in various shapes, sizes and colors. These work best on straight staircases that don’t have curved steps. 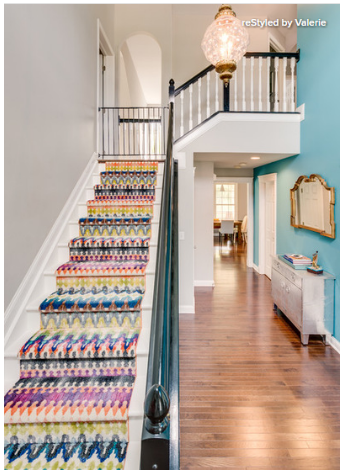 Have You Considered a Painted Stair Runner? Painted runners are a versatile choice. You can paint the runners as simple or as bold as you want, the beauty of paint is that you can always change your mind and re-paint them. Drawing color inspiration from natural materials will give your home a serene environment. Instead of commanding attention, a natural looking stair runner will simply complement your environment. Natural colored carpeting will keep your stair runners in style longer.This timeless, sophisticated and classy look will always stand the test of time.